Bob Muzikowski has one of the most fascinating and inspiring personal testimonies you will ever hear. He was an alcoholic and in jail when BJ Weber posted his bail and subsequently led him to faith. While he became in time a successful business guy, he has a unique story in how he has reached out to inner city kids through the development of the largest inner city little baseball leagues ever established both in New York and in Chicago. Bob has a passion for lifting kids out of desperate situations and forming them into “leaders of character empowered by the hope that is in Jesus Christ.” His work has made the evening news in both cities on numerous occasions. Bob was born and raised in Bayonne, New Jersey. He attended Columbia University in New York where he received his undergraduate and graduate degrees in 1979 and 1982, respectively. 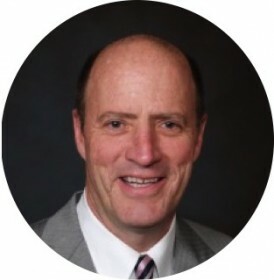 He then joined Northwestern Mutual Financial Network in 1984 and relocated to Chicago with his wife, Tina in 1988 where he founded Benefit Planning, Inc., a successful insurance, investment, and estate planning business with offices in Chicago and New York. Bob is the President of Chicago Hope Academy, a Christian faith based 7-12th grade school scheduled to open in 2004. He is also owner of the Valley of Peace Farm located in McLeansboro, IL, a residential drug and alcohol rehabilitation facility run by Living Light Ministries. In 1991, Bob founded the Near North Little League in the Cabrini Green Housing Projects in Chicago. He also founded the East Harlem Little league in 1993 and the Near West Little League (the largest inner-city league in the United States) in 1995. Among his many accolades, Bob was a recipient of President George Bush’s 1991 Point of Light award for his philanthropic work with the Little Leagues and Little League Baseball’s Volunteer of the Year. Bob is the author of “Safe At Home” (Zondervan 2001), a personal account of his life and his work with needy children and their families. He was misplayed by Keanu Reeves in the 2001 movie Hardball. Bob currently resides on the West Side of Chicago with Tina and their seven children.